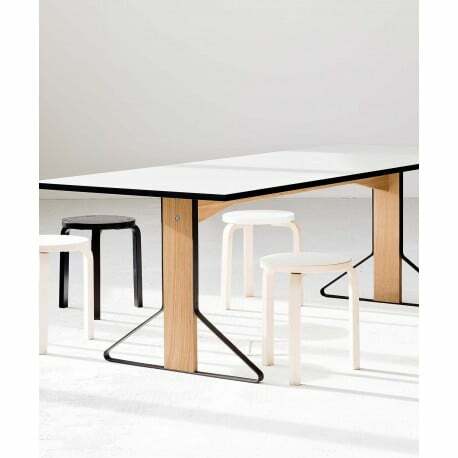 The Artek REB 001 Kaari Dining table 2015 is part of the Kaari Collection, designed by the French brothers Ronan & Erwan Bouroullec in 2015. Those with knowledge of the Finnish language will know that it takes its name from the Finnish word for ‘curve’. This refers to the curved, triangular support, which can be found throughout the collection. 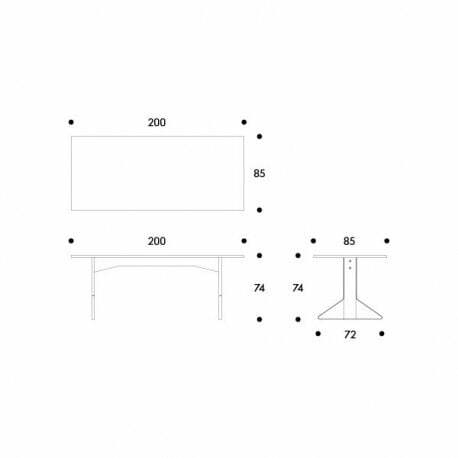 Table top (200 x 85 cm) with linoleum (black, light grey) or HPL high gloss surface (white, black). Base solid natural oak with protective varnish or black lacquered, flat rolled steel powder coated black. Also available in a larger version (table top 240 cm).